Congrats on a much deserved award. I like the new look too. Just as you’ve done, Julie, I re-award you. I get a kick out of the blogs about the boys and feel your emotions when you just need to empty yourself of a burden. My family values the friendship and kinship we have with one another. We love you guys. 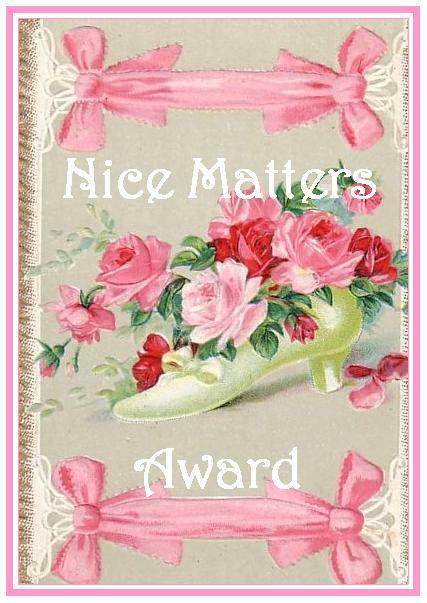 Notice…..My own mom DID NOT give me the nice award…and after all I do for her…lol…Hmmmphh! Dale – We love you too! Thanks for the re-award! Bless your heart Julie and thank you! Blessings abundant to you dear sister, and thank you again!